​Fascia can provide your home with the maintenance free protection all the way to the edge of the roof between the shingles and the soffit. You may choose it in a wide array of available matching or coordinating colors for your home. Aluminum soffit and fascia products are designed to help you add a very long lasting beauty and ultimate protection to your home’s exterior surface. It offers less time consuming and costly regular maintenance. Without the adequate fascia for your home, then condensation on the exposed raw wood can lead to rotting. By installing or repairing aluminum fascia, then it will allow the air to circulate and let the moisture or heat escape without damaging your home. In the winter season, the air circulation can reduce the formation of the icicles as well as the ice dams. 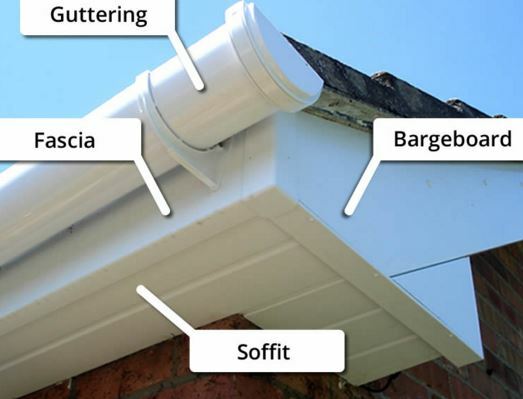 If you need fascia repaired or new fascia installed then our company's Michiana Gutter Pros expert fascia installation and repair specialists can assist you in getting all of the fascia problems solved or fixed correctly the first time and at a very affordable price. Our certified team is really happy to have received the best ratings and reviews. Michiana Gutter Pros are the leading fascia installation and repair specialists in your area. Our team has extensive experience in installing and repairing all types of fascia.